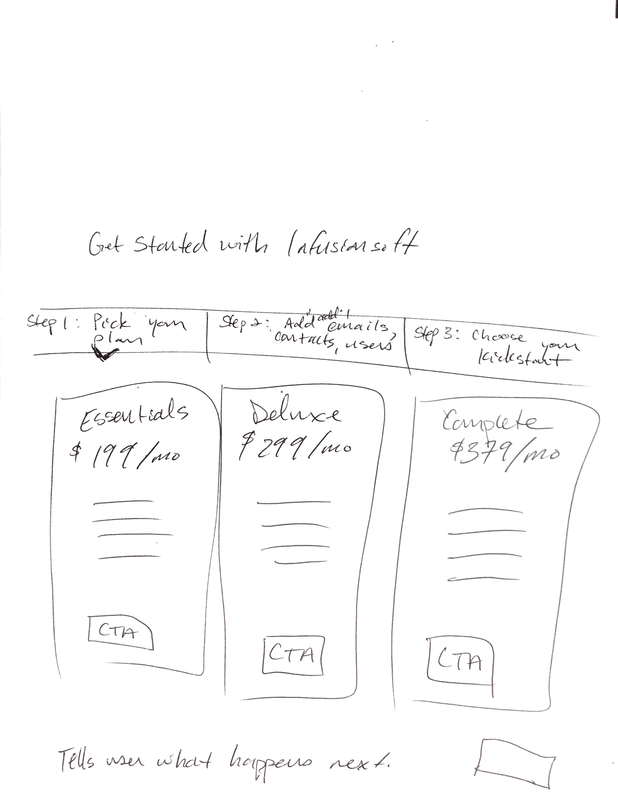 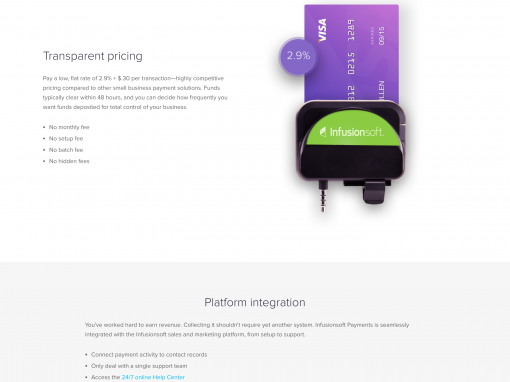 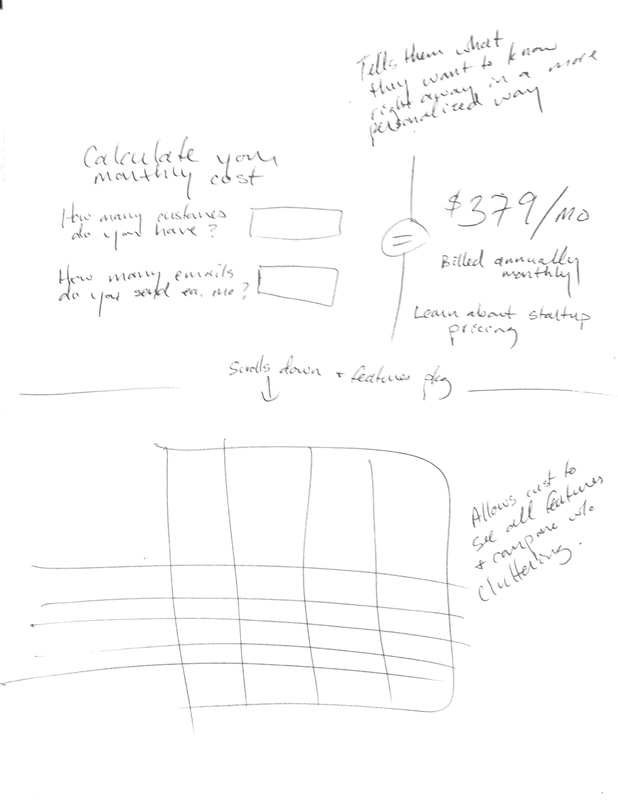 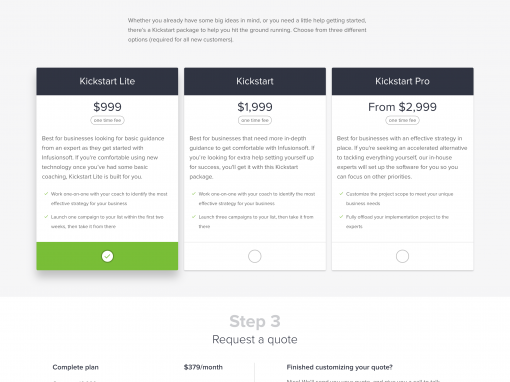 One of my most exciting and impactful projects at Infusionsoft was overhauling our pricing page. 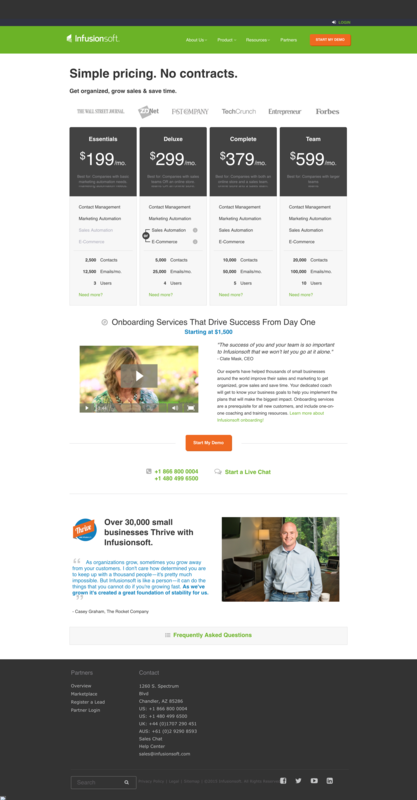 It was the second most-trafficked page on our website and the one we saw highest conversions (to demo) from. 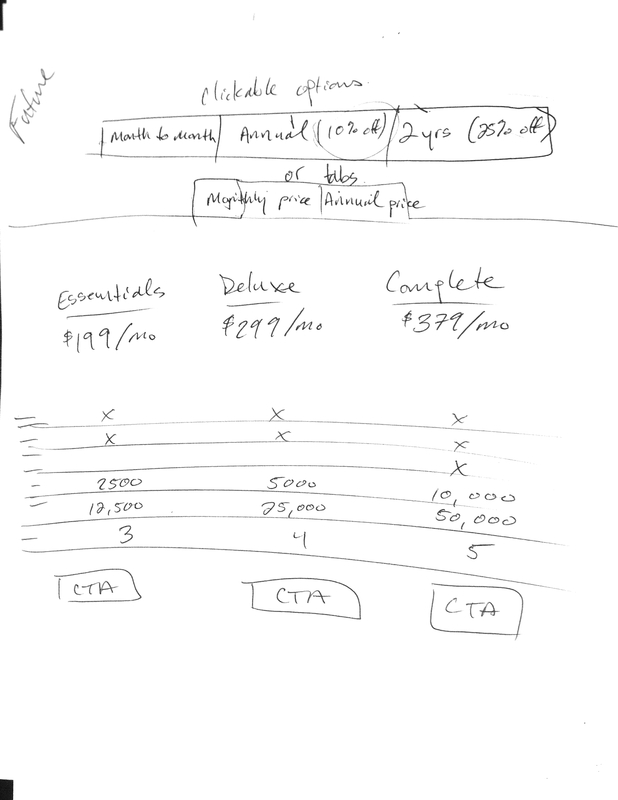 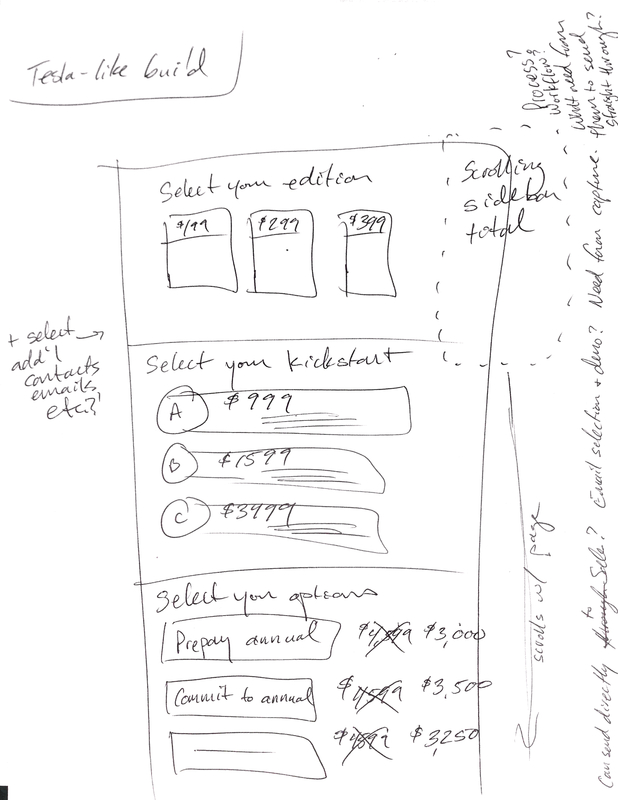 The new design makes it “as easy as 1, 2, 3” for prospects to understand exactly what they’re getting and at what price. 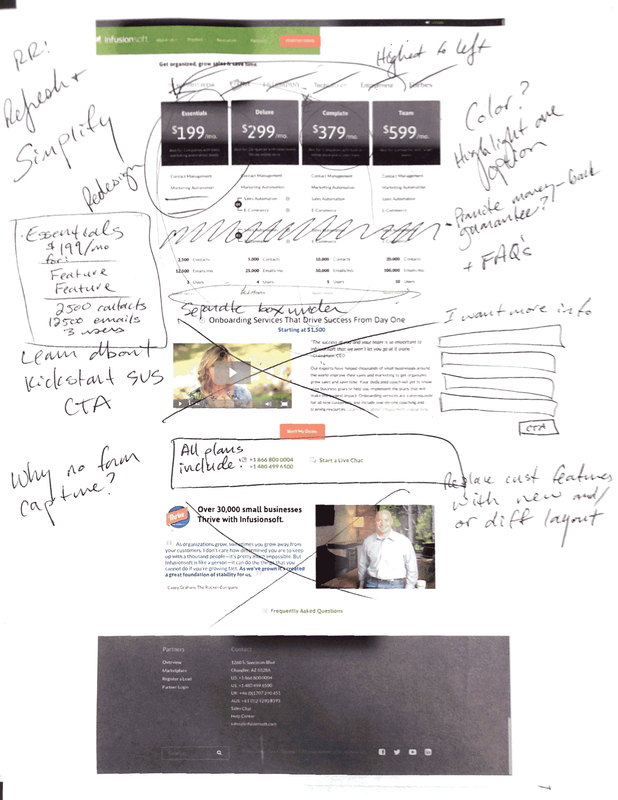 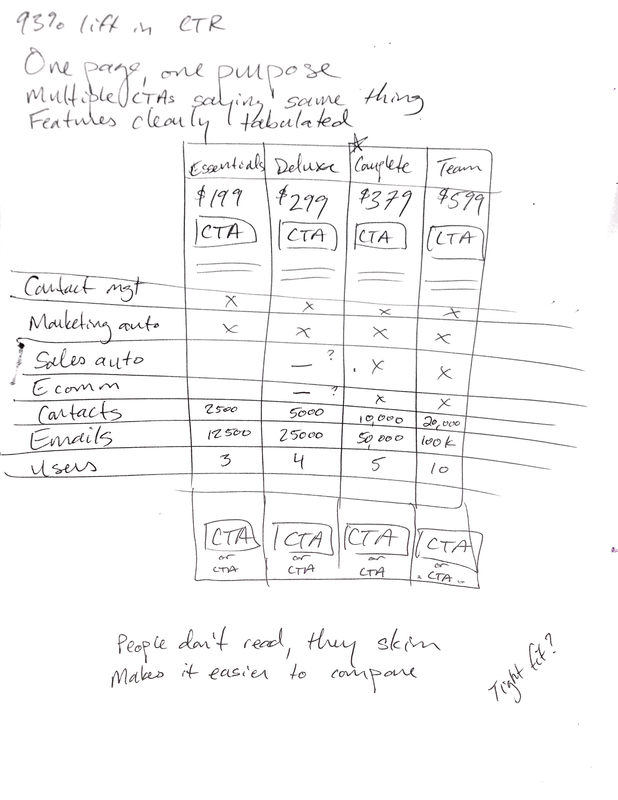 The design fixed our conversion problem and brought welcome predictability back to our marketing funnel.